Remember when Facebook used to be the only social media channel? Now there are hundreds of platforms out there, each one promising to engage your audience and drive traffic to your website. Just because there are hundreds of channels out there doesn’t mean you should be on all of them. Less is more when it comes to social media. Too many companies try to tackle all of the channels and end up getting nowhere. My advice? Pick one or two channels and excel at them. When you’ve experienced growth on those channels, then you can move on to others. Which channel (s) should you invest time and resources in for your business? Luckily I’ve provided a handy guide below outlining the pros and cons for every channel. If you’re looking to be seen as an expert in your industry, then LinkedIn is where it’s at. LinkedIn is the professional version of Facebook. It started as a platform for job seekers, but has since expanded to a place where businesses and individuals share their industry expertise. LinkedIn recently introduced long form content blogging, so now you can write articles about specific topics and share them directly with your audience. It’s a great way to link back to your website or landing page AND your articles can be found through Google search by people who aren’t following you. That’s great for search engine optimization. LinkedIn also allows you to target your posts to specific demographics and locations. If your product or service has a strong visual component, you’d be better served by engaging with your audience on Instagram, Facebook or Pinterest. The largest social media channel out there, Facebook continues to be incredibly relevant for brands. It has since expanded to allow you to share videos and photo – key to driving engagement with your followers. Like LinkedIn, Facebook also offers promoted posts – just choose your demographic and the location you want to target, and you’re all set. Since Facebook is a more informal platform, businesses that are present often generate trust and loyalty among their target audience. Facebook recently changed its algorithm so that companies don’t get a significant amount of organic views. This means that in order to be successful on this channel, you need to pay to promote some of your posts. You don’t have to have a substantial budget – even just $100 or $200 goes a long way. Photos and video go a long way on Facebook so if you don’t have a ton of multimedia assets, your posts won’t perform as well. Twitter allows companies to engage with their followers in real time. This is a great opportunity for brands to give their followers a behind the scenes look at their operations. You can also post more frequently on Twitter (about five times a day on average). You can also use hashtags to allow people to follow and participate in conversation around your products or services. Twitter is a great platform for breaking news and the use of 140 characters per tweet allows you to really zero in on your key messages. Twitter is also great if you attend industry conferences or events on a regular basis. Most of those events have their own designated hashtag – allowing you to engage with the other attendees while promoting your company’s presence. It can be difficult to craft posts under 140 characters. Twitter can also be very overwhelming with all of the real time updates. It can be easy for your posts to get lost among the clutter – especially if you’re not posting frequently enough. Only join Twitter if you can post frequently and use hashtags properly (but not too many – any more than three per tweet and engagement drops rapidly). If you have a visual product that you’re trying to sell, then Instagram is a must. The channel allows you to post photos of your brand or business using designated hashtags. Let’s say your company hosts an event. You snap a few photos from your iPhone, upload to Instagram, and boom, you’re done. It’s a very easy channel to use. Instagram also has a high rate of engagement compared to LinkedIn and Twitter. You can’t post links in your Instagram posts. The only place where you can include a link is in your bio. This means you need to be strategic about getting people to visit your website, landing page or blog. Many companies include a call-out in their Instagram posts inviting people to click the link in their bio. Don’t just include a link to your website and leave it at that. Change the links in your bio frequently – for example, if you have a new product launch and are trying to get visits to your landing page, then include a direct link to that page in your Instagram bio. Instagram recently changed their settings so photos no longer appear in chronological order. Instead, you only see photos that Instagram thinks you want to see. As a result, your followers may miss some of your updates unless they opt in to receive notifications every time you post. Many businesses are unhappy with this change, so I wouldn’t be surprised if Instagram made adjustments in the future. Out of all the channels, Pinterest is one of the top traffic drivers, making it a go to for any company or brand. Since visuals are key to engagement, Pinterest is great for businesses in the retail, food or lifestyle categories. This means that if you post a link to your blog or website, you better have a great visual to accompany it. With tools like Board Booster, which allow you to schedule pins ahead of time, it’s relatively easy to manage. Pinterest is also great for posting how-to guides or lists, so don’t underestimate it’s value if you’re not in a retail or consumer goods industry. Pinterest requires a certain level of design. Some companies may want to hire a designer if they can afford to. Don’t worry if you can’t. 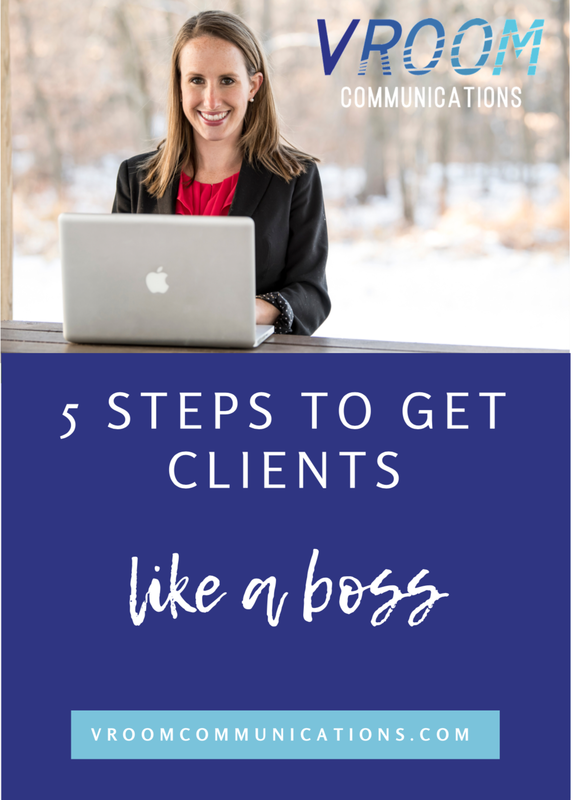 There are free tools out there like Canva that are easy to use and don’t require previous design experience. Slideshare is like the red headed stepchild of social media. Yet it can be incredibly powerful if used correctly. Have a sales presentation with lot’s of great tips for clients? Consider cleaning it up and posting it on SlideShare. Got an industry whitepaper you just developed? Post it on SlideShare and then promote the link on your other social media channels. It’s very easy to embed links to Slideshare presentations on your website or LinkedIn. The platform itself is also very easy to use and can house large files with audio and video. Slideshare does not offer a way to track how many people viewed your presentation. You also have to create and edit your presentation in a separate program, which can be annoying if you want to edit something you already posted. Slideshare should supplement, not replace, your activity on other social channels. Periscope is relatively new and still needs further testing. So you’ll want to approach Periscope with a trial and error attitude. That being said, Periscope was created by Twitter and is used to stream video in real time. Think of it as a webinar in social media form. The use of video also continues to be a significant driver of engagement and Periscope does it well. Periscope also allows videos to be played back for 24 hours, so if your followers missed your stream, they can watch it later. And it’s a great way to receive instant feedback in the way of hearts (akin to Facebook likes) and comments from people watching. First, let’s talk about the Periscope trolls. These spammers join a Periscope stream, but only so they can post crude comments. These comments detract from the actual video presentation and are incredibly frustrating for brands trying to get their message out there. Periscope also doesn’t allow you to include links back to your website. Use Periscope in tandem with other channels. If video is your thing and you like giving your followers regular updates about things happening behind the scenes at your company, then include Periscope in your social strategy. Like Periscope, Snapchat is also a newer channel and the jury is out on its full value. Snapchat allows users to take a short video or photo and post it for their followers to see. Like Periscope, Snapchat content is available for 24 hours after posting. While this may seem restrictive to brands or businesses, it’s a great way to bring a sense of timeliness or urgency to your updates – if your followers don’t check out your update now, they may never see it again. Snapchat is a great tool for pointing people back to a landing page or blog post that is relevant to them. It’s also gives people a look into the inner workings of your business. That exclusive, one-on-one connection is crucial in driving sales and revenue for your company. Since it’s a new channel, chances are many of your competitors aren’t using Snapchat yet, which gives you a leg up. The fleeting nature of Snapchat posts makes it difficult to build a broad customer base. There’s no direct link from Snapchat to your website or landing page. Use Snapchat to complement another channel – for example, post a link to your landing page on Facebook and LinkedIn and then send followers a short snap asking them to follow you on those networks. Whew, we made it! Obviously there are tons of other social networks that I haven’t mentioned (because that would be one hefty blog post!). I picked the top channels that many businesses are using so that you can get a good idea of what’s out there and how you can use it to reach your audience. Remember: don’t try to tackle all these channels at once. Pick one or two and once you’ve got a good handle, then consider expanding. After all, Rome wasn't built in a day!